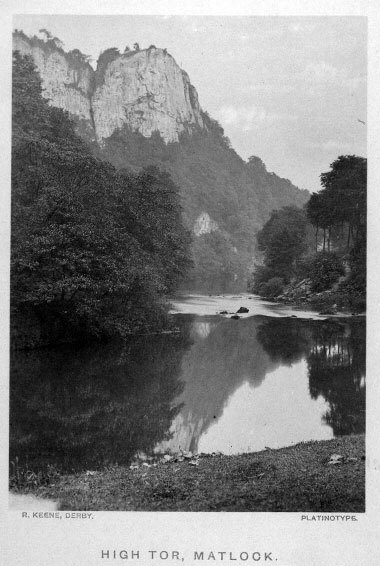 MATLOCK, Platinotype Photograph of High Tor. R. Keene's Platinotype view of High Tor is the frontispiece (opposite the title page) of Bradbury's "All About Derbyshire". Platinotype was a process of photographic printing in platinum-black. Platinum-black is a fine powder consisting of platinum in a finely divided state. Johnson Mathay's page about Platinum Black - for the scientists.